Chet og Todd vokste opp i en liten by med sin homofobe, enslige far. Eldstemann Chet har overtatt familiens jernvare og bor i barndomshjemmet, hvor han pleiet deres syke far frem til hans død. Todd dro hjemmefra for godt som 18-åring og brødrene har ikke hatt kontakt siden, men etter flere års hard livsførsel står han på bar bakke og har ikke annet valg enn å dra hjem. Hans plutselige ankomst snur Chets monotone og trygge tilværelse på hodet, og Todd skaper snart røre i byen med sine seksuelle eskapader og konfronterende oppførsel. Chet gjør sitt beste for å holde ham i sjakk, men når Todd legger an på Brandon, Chets gamle flamme fra skolen, stiger årevis av oppbygget skuffelse og forakt til overflaten, og en konfrontasjon er uungåelig. Uten en far å klandre, må brødrene lære å akseptere hverandre og sine valg, og lære å se det som binder dem sammen – et bånd de aldri har villet anerkjenne. Regissør Wade Gasques Housebroken ble vist under Skeive Filmer 2013. Dette er hans første spillefilm. Frankie Valenti har hatt en lang karriere på topp i pornoindustrien som Johnny Hazzard, og spillefilmdebuterer her som Todd, i en karriereovergang som overbeviser fullstendig. Manusforfatter Mark Stranos (Housebroken) nyanserte innsats som Chet ga ham Outfests jurypris for Beste Skuespiller i år. Regissør Wade Gasque, Mark Strano og Frankie Valenti vil være tilstede. Chet and Todd grew up in a small town with a homophobic, single father. Chet runs the family store and lives at home, where he cared for their ailing father until he passed away. Younger brother Todd left at 18 and the brothers have been estranged ever since. Now, after years of reckless living, he’s left with no other choice than to return home. His surprise arrival turns Chet’s safe and monotonous life upside down, and soon he finds himself trying to keep his brother out of trouble. When Todd makes a pass at Brandon, an old high school flame of Chet’s, years of built-up anger and resentment surface and a confrontation is unavoidable. Without a father to blame, the brothers must come to terms with their choices and accept their differences in order to see the bond between them – a bond they’ve never fully wanted to recognize. Co-writer/director Wade Gasque’s short Housebroken (also starring Mark Strano) screened at Skeive Filmer 2013. This is his feature film debut. Frankie Valenti has transitioned from a long career as top selling gay adult film star Johnny Hazzard, and he is convincing and raw as Todd in his feature film debut. Script writer Mark Strano’s nuanced performance as Chet earned him Grand Jury Award for Best Actor at Outfest LGBT Film Festival 2014. Director Wade Gasque, Mark Strano and Frankie Valenti will attend. Wade Gasque is a Nicholl Semifinalist for his screenplay Half Truth, as well as a Film Independent Fellow (chosen for their Director, Screenwriter and Producer labs) and a finalist in the Netflix Find Your Voice Competition.His 2013 short film Housebroken, produced by Steakhaus Productions (By Hook or By Crook) has played dozens of film festivals worldwide including Frameline (SF), Outfest (LA), Newfest (NY), Skeive Filmer (Oslo) and was released on DVD/VOD/iTunes by Strand Releasing in June 2014.Other directing credits include the short film The Hardest Job in the Business with Marvin Acuna (The Great Buck Howard) and the award-winning book trailer for Gigi Levangie Grazer’s The After Wife. 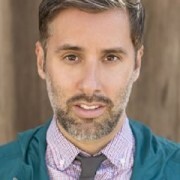 He directed the stage musical The Ohmies (NY Times “Best of the season!”) at the Geffen Playhouse, the solo show From Seven Layers to a Bikini Top in Less Than Five Hours (Santa Monica Rep at the Miles Playhouse) and wrote/directed the full-length play The Allegory of Golf at the Flatiron Playhouse in New York. His short plays have won the Buffalo’s Maxim Mazumdar New Play Competition and Cleveland New Works Festival. He received a BFA in Acting from Marymount Manhattan College and won the South Carolina Archibald Rutledge State Scholarship for Playwriting. Mark Strano, Tiger Orange’s co-writer, producer and lead, starred in last year’s short film Housebroken, also directed by Gasque, and shown at Skeive Filmer 2013.He has been in several indie features including lead roles in the creature feature Lizard Boy, Guest House Films’ Out To Kill, and the 90’s dramedy Come Together. LA theater credits include Neil LaBute’s The Shape of Things as Philip and the 30th anniversary revival of Gemini as Francis. 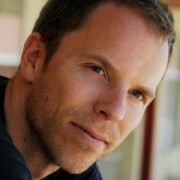 Mark has written, starred in and directed several original web series, including the short film House Guests which was the inspiration for his script to Tiger Orange. A graduate of Marymount Manhattan College’s BFA acting program, Mark spent his years in NYC at a talent agency, casting for theatre and scoring independent films including Here! TV’s Fixing Frank. Frankie Valenti built a business around his alter-ego, Johnny Hazzard. As an entrepreneur, actor, and one of the top selling adult film stars in the last 10 years, he has thousands of fans following his re-invention out of the adult film industry through Twitter, Facebook and his own website www.johnnyhazzard.tumblr.com.Frankie was a series regular on Here! TV’s The Lair and appeared in 21 episodes of Season 1 & 2. Johnny Hazzard was awarded best actor at the Grabby’s for starring in the adult feature epic The Wrong Side of the Tracks Part 1 & 2.As a model, Frankie has been featured in various print ads and coffee table books, but most notably he was the muse for Boy George’s clothing line, B-Rude. 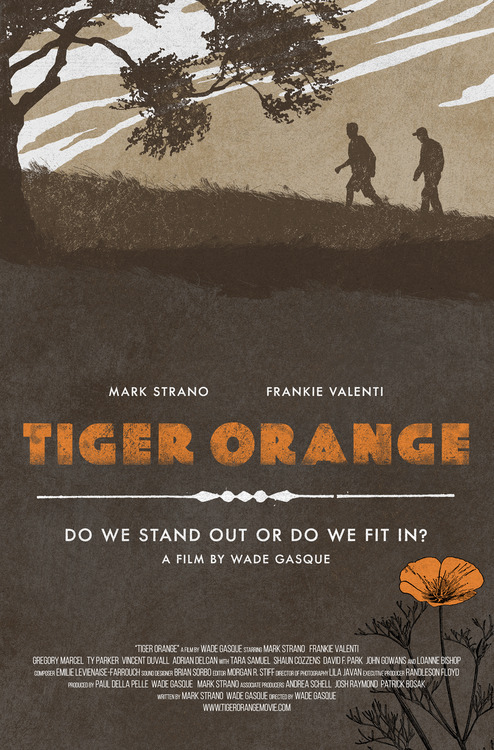 Tiger Orange is his feature film debut.